Looking for ways to inspire your students to become instruments of positive change? Join this webinar to discover how to fuel a collaborative classroom and empower students to advocate, innovate and campaign. We’ll curate ideas as we share specific programs, tech tools and technology-infused initiatives aligned to the ISTE Standards that invite students to: investigate the world, weigh perspectives and take action … for people and planet! 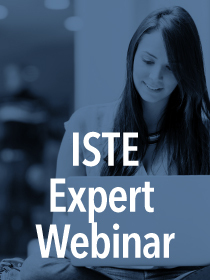 This ISTE Expert Webinar is presented by Jennifer Williams of the ISTE Education Leaders Network.